The Cardinals will unveil an updated version of the team uniforms and a new alternate home jersey for the 2013 season. The uniform update will be the first for the franchise since 1998. “It’s not an earth-shattering change, but any change with the Cardinals is big news because there’s such tradition with our uniform look,” team president Bill DeWitt III said. The new alternate jersey will feature “St. Louis” in script. It’s the first time Cardinals will not be on a jersey since 1932. 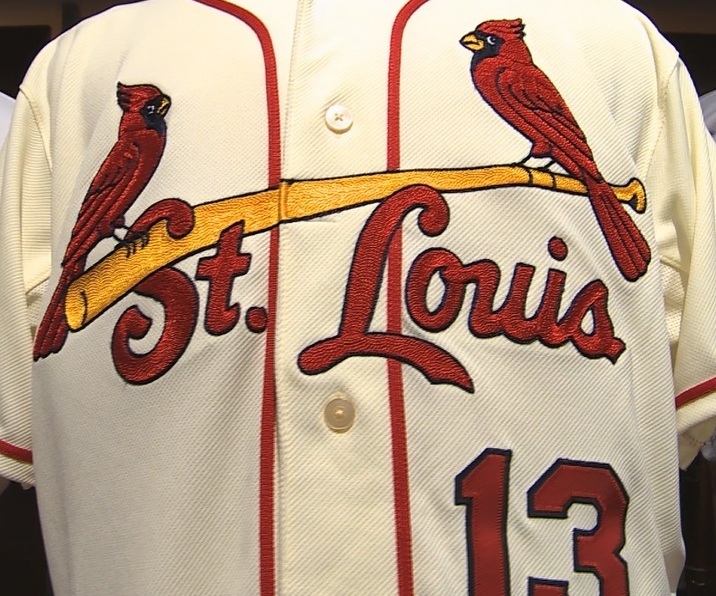 The “Birds on the Bat” logo will remain and piping will be added down the front and around the shoulders for the first time since the 1950’s when Stan Musial played. Two employees and pitcher Trevor Rosenthal (far right) wear the new uniforms for 2013. St. Louis was one of only four teams in Major League Baseball not to have previously worn an alternate jersey, though the idea has been tossed around for a few years. 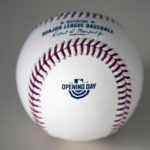 DeWitt liked the off-white look, which has been used by the Giants, Phillies, Braves and Indians. The pants with the alternate jerseys also have red piping that go down the side of the legs. Other changes to the team’s look in 2013 is that the club will wear red hats and red belts with their road grey jerseys. The club will continue to incorporate the all navy blue hats on some road games. The Sunday navy blue, red bill hats will also continue for home games. There are 13 home games in 2013 that fall on a Saturday in which the new uniforms will be worn. The first game is April 13th when the Cardinals host Milwaukee. I’m sure that’s just pure coincidence that the alternate uniforms will be wore on the 13th for 13 times in 2013. That’s a lot of unlucky #13’s. The birds on the bat have actual eyes instead of dots, the bat is a little more detailed to add depth and the numbers on the front of the jersey are slightly smaller.